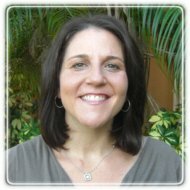 Delray Beach Therapist: Laura Zipris - Therapist 33484. Send A Message To Dr. Zipris. I hold a doctorate in Psychology and I am a New York State Licensed Psychologist. I am also a Florida State Licensed Mental Health Counselor and a Florida Licensed School Psychologist. I am certified in Imago Relationship Therapy and have obtained my advanced clinician status. I work passionately with individuals of all ages to enhance their personal development, as well as improve their relationships. My goal is to empower people to live more consciously, to help them remove the obstacles that hold them back, and to help them deepen the connections with themselves and others. I have worked successfully for over fifteen years with people experiencing a range of difficulties and symptoms that include: anxiety, depression, anger management, marital infidelity, marital discord/dissatisfaction, sexual problems, addictions, learning difficulties, behavioral difficulties, and parenting issues. In addition, one of my specialties includes psychotherapy with individuals and couples dealing with infertility and reproductive trauma. For over 15 years I have also worked as a School Psychologist in the public school system. I was employed with the Rockville Centre School District in New York for over a decade and worked with students with grades ranging from pre-kindergarten through high school. Since moving to Florida, I have worked with the Palm Beach County School District, where I have helped to pilot their Private School Program. My years of experience have provided me with expertise in the assessment of a variety of exceptionalities, as well as successful interventions to address learning challenges, behavioral problems and emotional difficulties.